Ever since being appointed by President Trump to run the U.S. transportation department, Secretary Elaine Chao has said her agency would update a set of voluntary guidelines issued by her predecessor on how automakers should test and deploy self-driving cars. On Tuesday, already a jam-packed day for automated tech in cars, Chao finally released the revamped set of guidelines. Called “A Vision for Safety,” Chao said in an introductory message that it’ll offer a “policy framework” for the “safe deployment of automated vehicles.” Chao visited a self-driving car testing center in Ann Arbor, Michigan, on Tuesday to unveil the guidelines. Under the new proposal, the transportation department focused on cars with higher levels of automation—level 3 to 5 on the Society of Automotive Engineers scale—where the car is expected to control a majority of driving tasks, with 5 representing full automation. The guidelines are intended to provide additional clarity for how self-driving cars should be regulated. 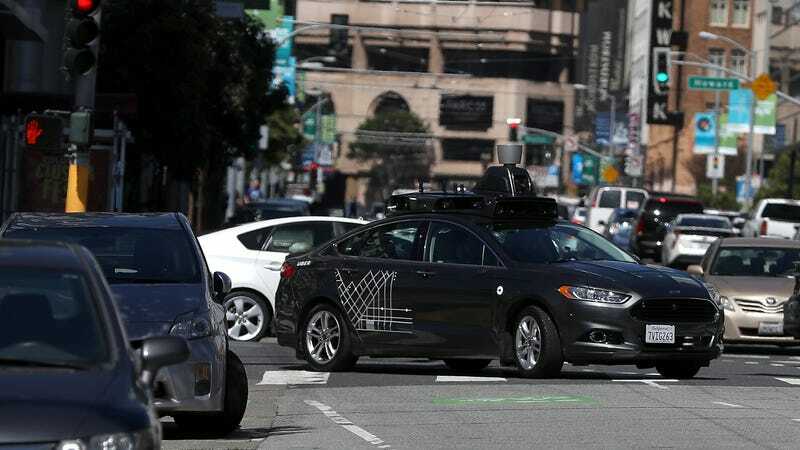 The U.S. House passed a bill this week that bans states from enacting significant regulation over autonomous cars and how they’re tested; the Senate is currently considering similar legislation. “Allowing NHTSA alone to regulate the safety design and performance aspects of ADS technology will help avoid conflicting Federal and State laws and regulations that could impede deployment,” the guidelines say. The document’s expected to be periodically updated to reflect technological advances, including whether any statutory changes occur at the federal or state levels. You can take a look at the set of guidelines below.